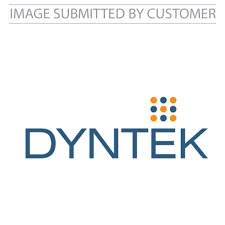 NEWPORT BEACH, Calif., April 11, 2018 (GLOBE NEWSWIRE) — DynTek, Inc. (OTC:DYNE), a leading provider of professional technology services, announced today that CRN®, a brand of The Channel Company, has named DynTek to its 2018 Tech Elite 250 list. This annual list honors an exclusive group of North American IT solution providers that have earned the highest number of advanced technical certifications from leading technology suppliers, scaled to their company size. DynTek’s solutions are backed by an extensive list of manufacturer accreditations that recognize deep real-world experience, a high level of technical expertise and customer service excellence. DynTek’s accreditations include Cisco Gold, Microsoft Gold, McAfee Platinum, Citrix Platinum, NetApp Gold and many more. DynTek is a leading provider of professional technology services to mid-market companies, such as state and local governments, educational institutions and commercial entities in the largest IT markets nationwide. From virtualization and cloud computing to unified communications and collaboration, DynTek provides professional technology solutions across the three core areas of our customers’ technical environment: Infrastructure/Data Center, Microsoft Platforms, End Point Computing. DynTek’s multidisciplinary approach allows our clients to turn to a single source for their most critical technology requirements. For more information, visit http://www.dyntek.com.